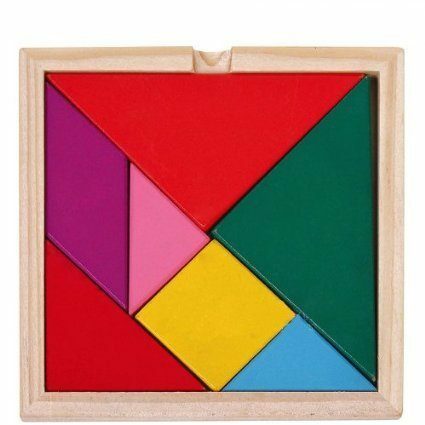 Colorful Wooden Geometry Tangram Puzzle $2.99 Shipped! You are here: Home / Great Deals / Amazon Deals / Colorful Wooden Geometry Tangram Puzzle $2.99 Shipped! Head over to Amazon and get the Colorful Wooden Geometry Tangram Puzzle with Manual for just $2.99! And, shipping is FREE! I love that these are great for adults and kids and perfect to keep in your purse to pull out when you have a long wait time for the kiddos.